BLOOMINGTON, In. -- Where most people saw only a relic of a manufacturing past, Bloomington officials saw an opportunity. They hope to turn an abandoned railroad switchyard beset with costly environmental contamination into an asset to spur economic growth. 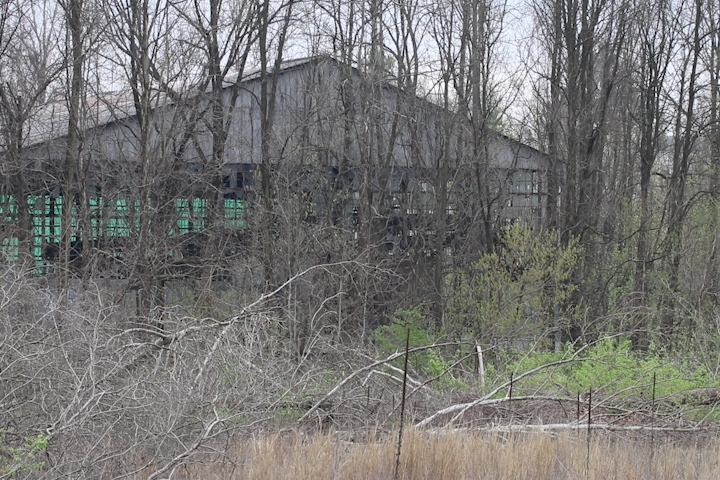 A derelict warehouse near the former McDoel Railroad Switchyard. For nearly two decades, the McDoel Railroad Switchyard located near the heart of Bloomington lay economically stagnant. The yard began service in 1892 and served as a commercial hub for manufacturing companies in the city and surrounding areas for more than a century. In the late 1980s and early 1990s, the bottom fell out of the city’s manufacturing industry. Companies that made up the lifeblood of the railroad’s arteries stopped using the line and eventually left the town entirely. By 2000, the switchyard stopped operating. The CSX Corp., one of the nation’s largest rail transport companies and the owner of the McDoel Switchyard, declared the yard and rail line surplus and entered into negotiations with Bloomington officials to sell the land. Land near the former McDoel Switchyard Park. 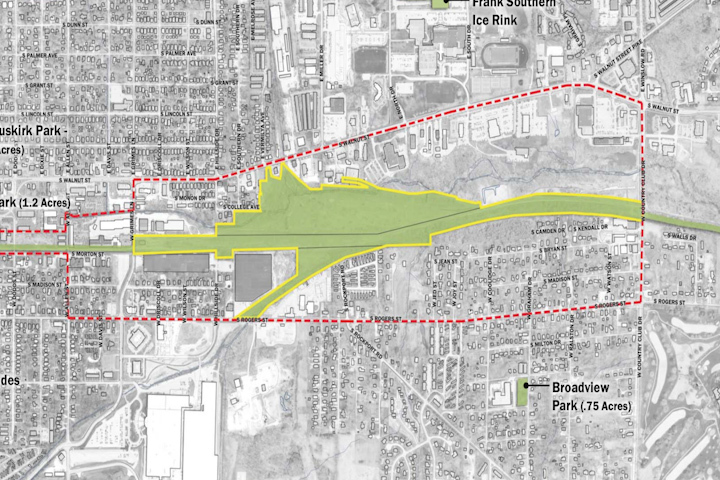 Dave Williams, the operations director for Bloomington’s Parks and Recreation Department, says the city first bought a three-mile corridor of land. “Thankfully, there was enough vision by the mayor at the time to say, ‘Yes, we are very interested in purchasing this property'," Williams said. The city saw an opportunity to use the land to build a recreational trail, but the venture was not without risks. Local residents and business owners say the trail has been great for business. Jerrod Willis moved to Bloomington from Battle Creek, Michigan over fifteen years ago. He says the trail has been a great success for the city. The benefits of the trail were obvious to city planners, but what wasn’t so clear was whether the difficulties faced establishing it would be overcome. Due to its century of railway use, an environmental assessment found that the new land was contaminated with traces of arsenic, lead, and coal ash. The city worked with Indiana’s Department of Environmental Management to clear the area of contaminants, including hauling away arsenic and lead hotspots. According to Williams, IDEM told the city they could remediate land affected by coal ash contamination by either covering the soil with a hard, impervious surface like asphalt or 12 inches of clean soil. 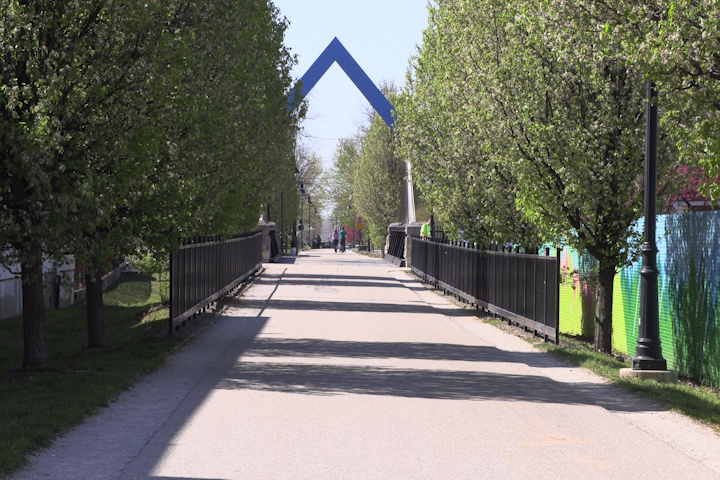 The environmental remediation was completed in 2011 and the B-Line Trail soon became a Bloomington staple. Williams says businesses sought to establish themselves in Bloomington specifically because of the trail’s success and allure. The city then sought to expand that success by purchasing 28 acres of adjacent land and planning a new venture out of the former McDoel Railroad Switchyard to be named Switchyard Park. Key elements of the park include a multipurpose events lawn, four more miles of multi-purpose trails, a restoration of the Clear Creek Corridor, removal of invasive plant species and the construction of parking areas to hold more than 550 vehicles. Williams says the $34 million project to reclaim the contaminated area holds an obvious benefit for Bloomington city residents. 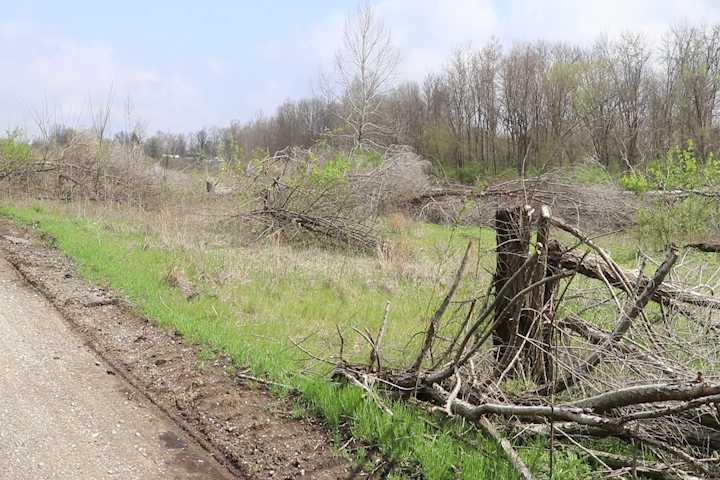 The new property was stricken with much of the same contamination problems seen in the B-Line Trail, but faced an even larger problem – invasive plants species. An environmental inventory of the area in 2012 found at least 25 different species of invasive plants growing in different habitats. Among the most destructive species is difficult to eradicate garlic mustard, which can produce thousands of seeds that can be spread by wildlife and humans, and a 60-foot Tree of Heaven, a plant native to China that spreads aggressively, produces a chemical that inhibits the growth of other plants and is foul-smelling. Williams says crews will replant native plant species once the invasive species have been removed. Williams says he hopes more Hoosiers realize that helping protect or renew the environment in urban areas is beneficial in the long run. Willis says he believes Bloomington residents will embrace the park like the do they B-Line Trail. 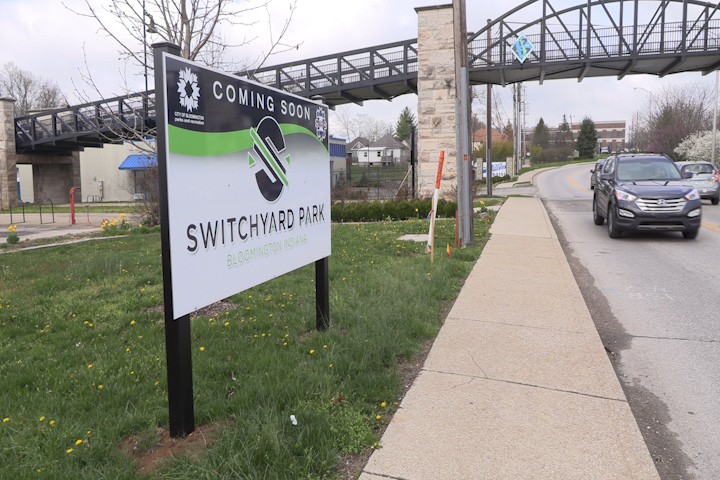 A sign for Bloomington's upcoming Switchyard Park. The Switchyard Park project broke ground in May and will be fully completed by May 2020. Where most people saw only a relic of a manufacturing past, Bloomington officials saw an opportunity. They hope to turn an abandoned railroad switchyard beset with costly environmental contamination into an asset to spur economic growth.